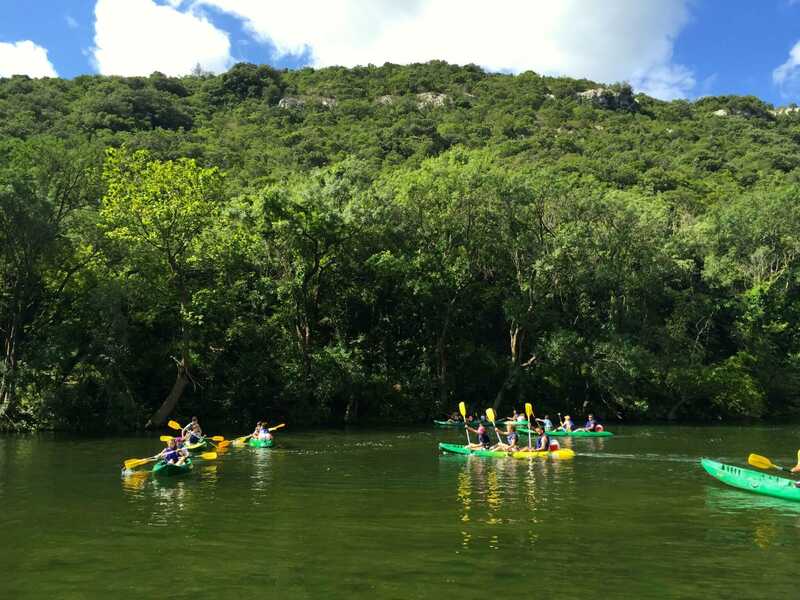 This small tour is the ideal way to discover the activity of canoeing at your own pace. For more than 10 people, you can get a group rate. Contact us by phone or email for your bookings. Attentions, make sure to come 30 minutes before your start. Trail is temporary unavailable, please forgive us. 2 Adults or 1 Adult. + 1 Child. 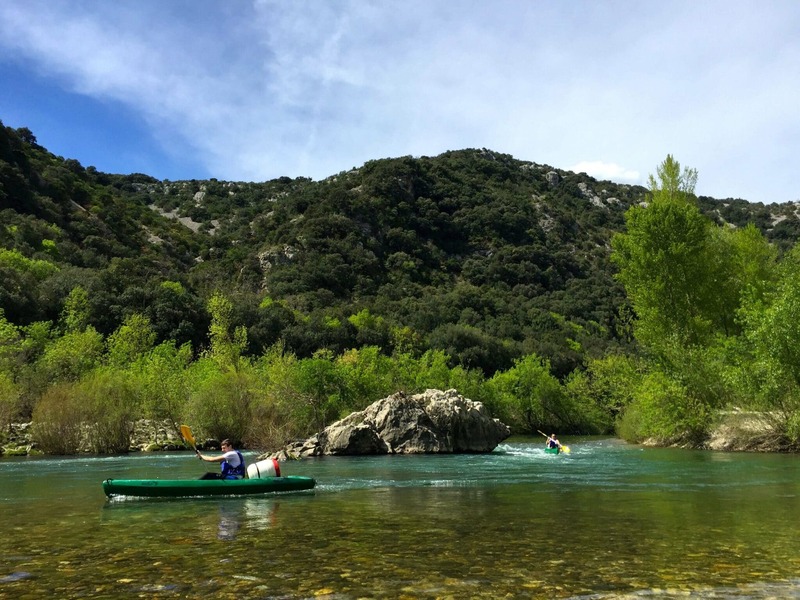 This small tour is the ideal way to discover the activity of canoeing at your own pace. You will be able to uncover the hidden treasures of a calmer river while paddling. This trail also has numerous small beaches to have a break on whenever you like. Relaxation and bathing are waiting for you! Your vehicle will be parked at the end of the trail, so there are no time restrictions for your return. A FAMILIALE ORGANIZATION, with an small size. Set at St GUILHEM LE DESERT (beautiful spot) for more than 30 year, we are sharing with you our knowledge about the region. A WARM WELCOME for everyone. An OPEN TEAM that listen to you. A TOTAL LIBERTY on the water ; shuttle to go, your is waiting for you at the end. A FREE PARKING just for our customers. Everydays : 9:30 - 19:00 - With booking.